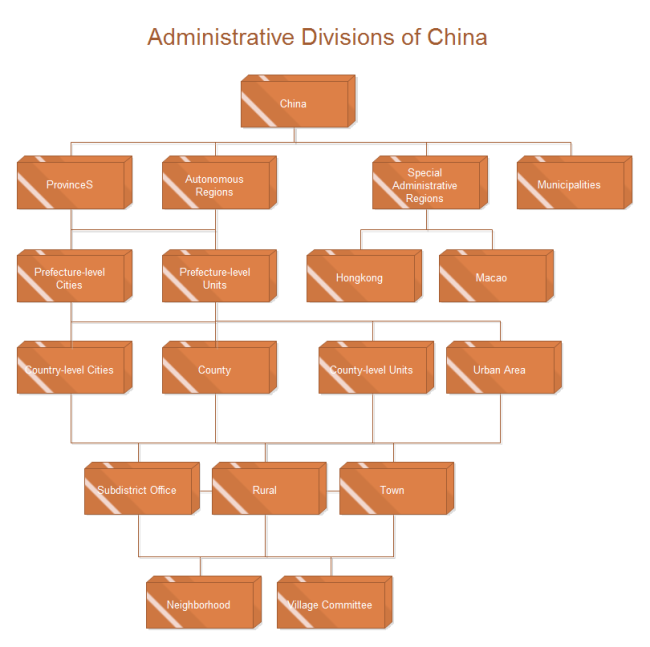 See an org chart about the administrative divisions of China. Understand things more easily through visual diagrams. Make your own infographics effortlessly with automatic org chart software. Here is a guide about the administrative divisions of China. You can understand the structure better through an organizational chart and the related table. You can also create such org charts easily when you need do deliver presentation about similar topics. Due to China's large population and vast area, the administrative divisions of China have consisted of several levels since ancient times. The constitution of China provides for three de jure levels of government. Currently, however, there are five practical (de facto) levels of local government: the province, prefecture, county, township, and village. 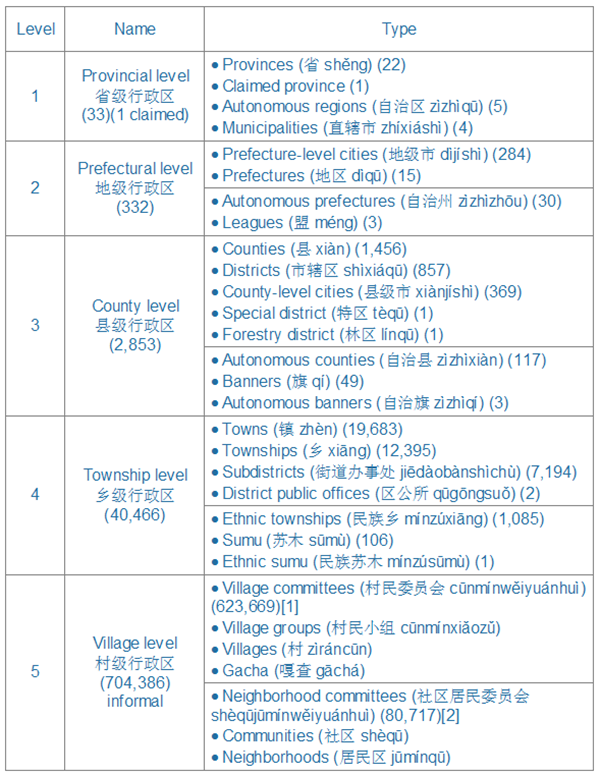 Each of the levels (except "special administrative regions") correspond to a level in the Civil service of the People's Republic of China. There are 22 provinces, 1 claimed province, 5 Autonomous regions and 4 municipalities directly under the central government. Please refer to the following table for more details (included is data as of 2011).